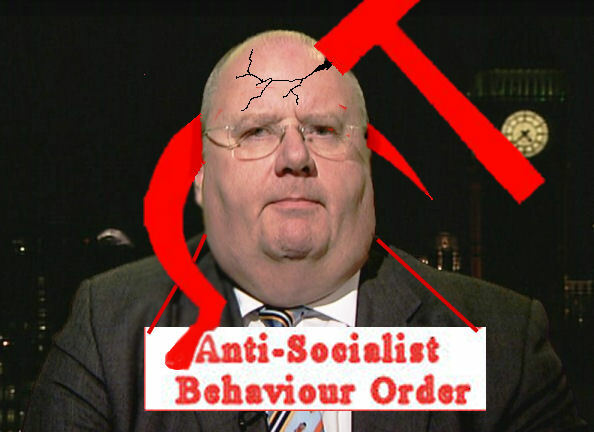 This week’s Anti Socialist Behaviour Order goes to Eric Pickles, Secretary of State for Communities and Local Government. He belives he is unpopular because he’s fat, bald, northern and called Pickles; but actually he’s more widely despised because he’s a Tory. His new Council Tax Benefit reforms are going to crucify the poor by a postcode lottery, and have been compared to the reintroduction of the Poll Tax. This entry was posted on 26 July, 2012 in homepage, Uncategorized and tagged Council Tax Benefit reforms, Eric Pickles. Pickles ASBO, new PollTax, Polly Toynbee. Bookmark the permalink.